‘O dry bones, hear the word of the Lord! 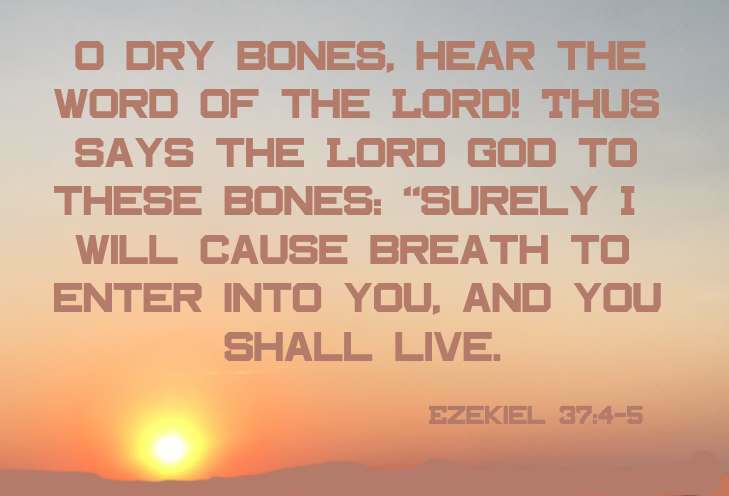 Thus says the Lord God to these bones: “Surely I will cause breath to enter into you, and you shall live (Ezekiel 37:4-5). “O Sovereign Lord, you alone know the answer to that" (Ezekiel 37:4 NLT). Speak a prophetic message to these bones and say, ‘Dry bones, listen to the word of the Lord! This is what the Sovereign Lord says: Look! I am going to put breath into you and make you live again (Ezekiel 37:5 NLT). Come, O breath, from the four winds! Breathe into these dead bodies so they may live again (Ezekiel 37:9 NLT). ... breath came into their bodies. They all came to life and stood up on their feet—a great army (Ezekiel 37:10 NLT). .... I will put my Spirit in you.... (Ezekiel 37:14 NLT). 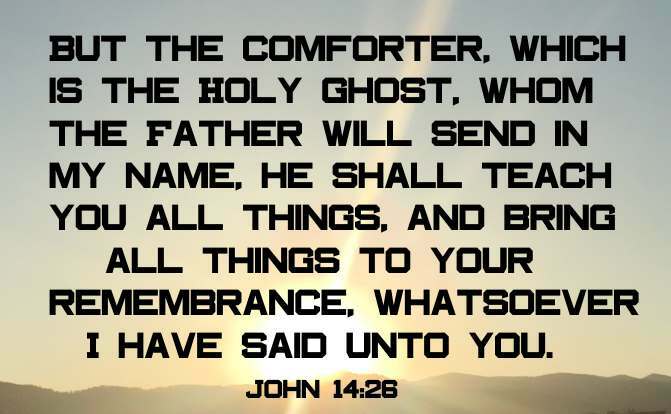 Nevertheless I tell you the truth; It is expedient for you that I go away: for if I go not away, the Comforter will not come unto you; but if I depart, I will send him unto you (John 16:17). And, behold, I send the promise of my Father upon you: but tarry ye in the city of Jerusalem, until ye be endued with power from on high (Luke 24:49 ). My tabernacle also shall be with them: yea, I will be their God, and they shall be my people (Ezekiel 37:27).